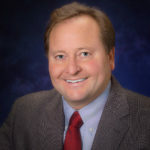 Brian Schweitzer is an American politician who served as the 23rd Governor of Montana from January 5, 2005, to January 7, 2013. Schweitzer served for a time as chair of the Western Governors Association as well as the Democratic Governors Association. He also served as president of the Council of State Governments. "And yes, the Homesteaders, including my grandparents who left behind almost nothing, and arrived in Montana with nothing but the clothes on their back, high hopes, faith in God and dreaming of the future." "I challenge you to be dreamers; I challenge you to be doers and let us make the greatest place in the world even better."